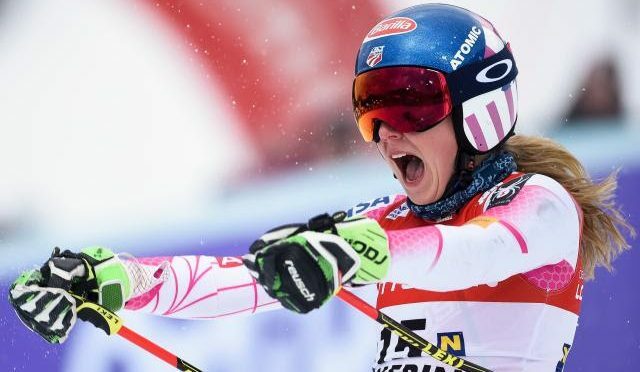 Mikaela Shiffrin, of Eagle, Colo., won her second career Audi FIS Ski World Cup giant slalom race on Tuesday in Semmering, a make up event from last week’s race that was canceled due to wind in Courchevel, France. Tessa Worley of France was second, followed by Manuela Moelgg of Italy in third. Switzerland’s Lara Gut was fourth after finishing an uncharacteristic 17th after the first run. “It was a tough race; icy, bumpy, everything I like. Mikaela did a great two runs. 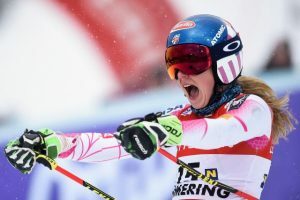 I did a bad top section on the first, so I’m really happy with second place and with my second run attacking from top to bottom,” said Worley. “I love it. I love having two chances like this, and I’m going to make the best of it,” she added, looking ahead to Wednesday’s race. Up next, the ladies compete in another giant slalom Wednesday in Semmering, followed by an evening slalom on Thursday. Rank Name Nation Run 1 Run 2 Total Diff.